Dedication and enthusiasm are key factors in learning how to play the violin. That is why when you book a violin lesson in Stoke-on-Trent with Amadeus Music Academy you will not be left feeling disappointed or discouraged. Our tutors make it a priority to always maintain the excitement and enjoyment of learning the violin in their lessons, while at the same time making sure that you learn how to get the best out of your violin. You will also be trained in how to get the best posture to prevent any unnecessary physical discomfort. If you are looking to start learning the violin then start with booking your first free violin lesson in Stoke-On-Trent with Amadeus Music Academy. 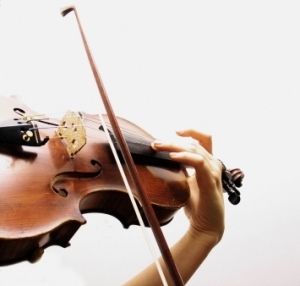 It doesn’t matter if you are a young beginner or an adult wanting to start violin lessons. We welcome those of all ages to receive our professional violin tuition. We do however acknowledge that the violin is one of the trickier instruments to master but with a willing attitude guided along with your instructive violin tuition you will be able to accomplish your desire to play the violin. You will soon feel you want to absorb all you can from your valuable violin tuition as you experience the benefits of applying your new learnt information along with regular practice.